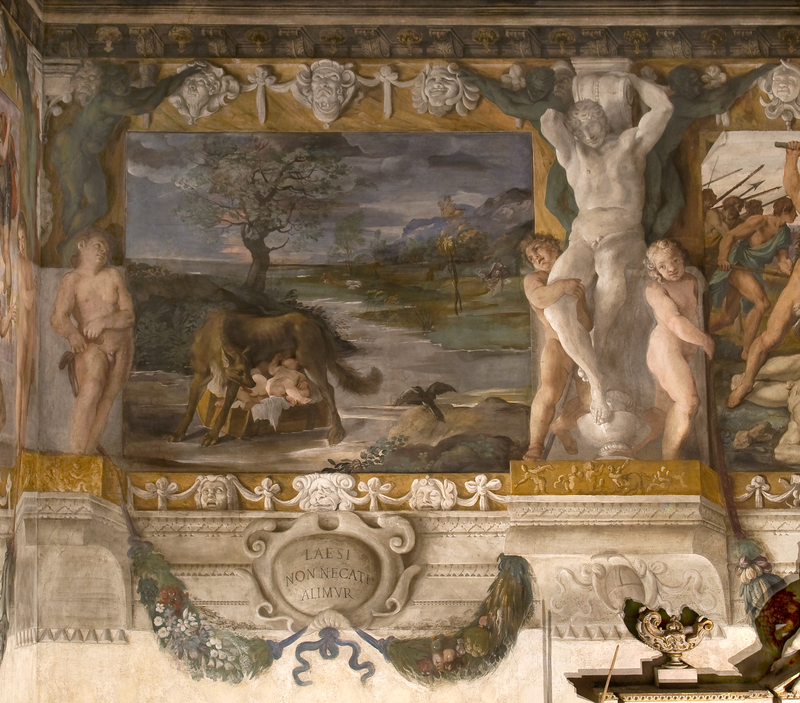 The new Senators who Pope Sixtus V nominated in 1590 finally included the Bolognese Lorenzo Magnani. 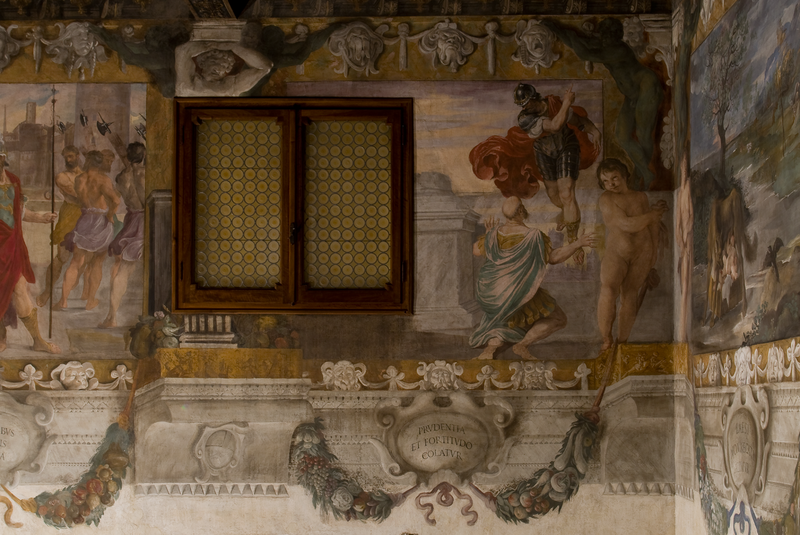 This long-coveted recognition had been in the air for some time and Magnani, who had probably already been the wealthiest man in Bologna for several years, had decided to build himself a palazzo which was just as good as the Roman ones. 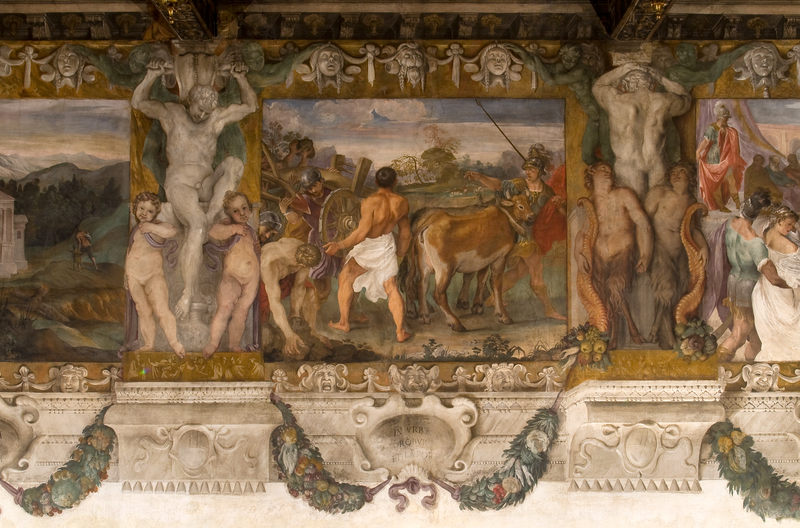 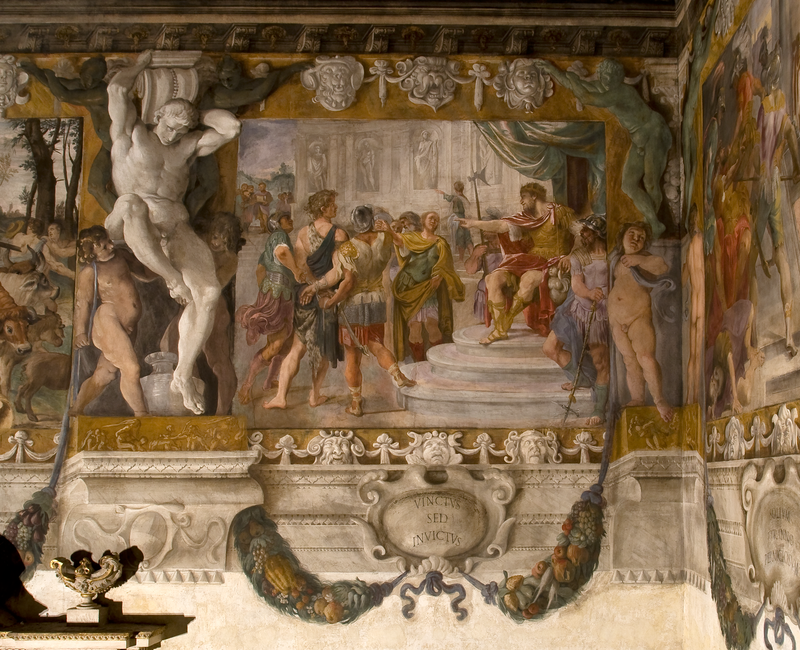 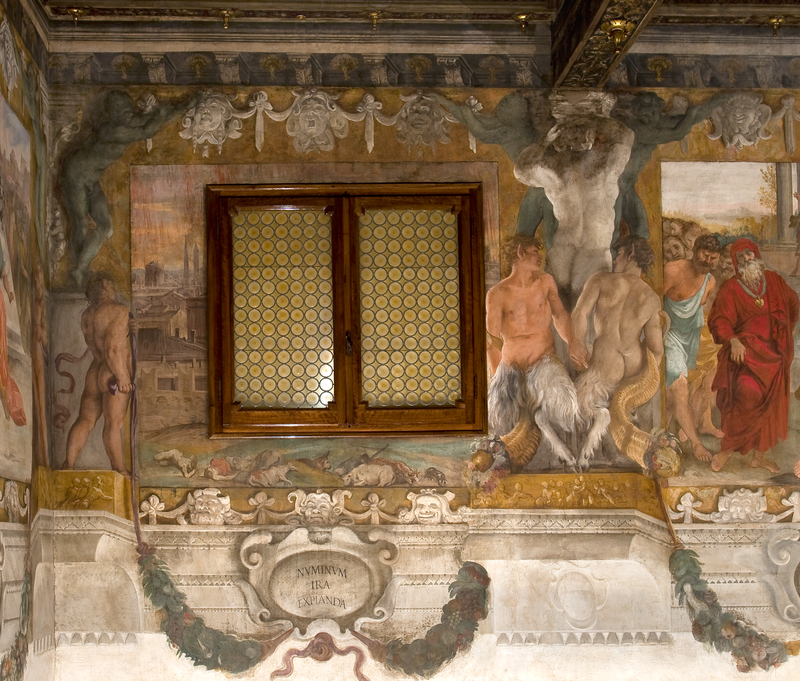 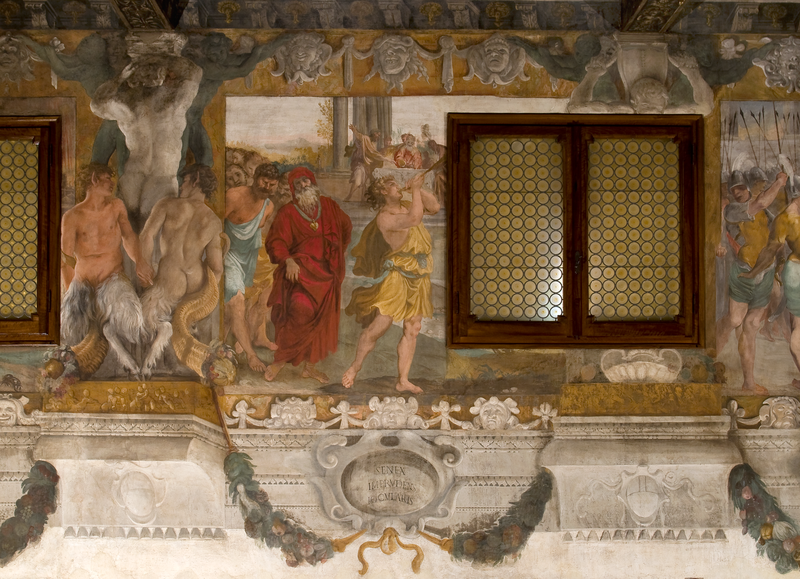 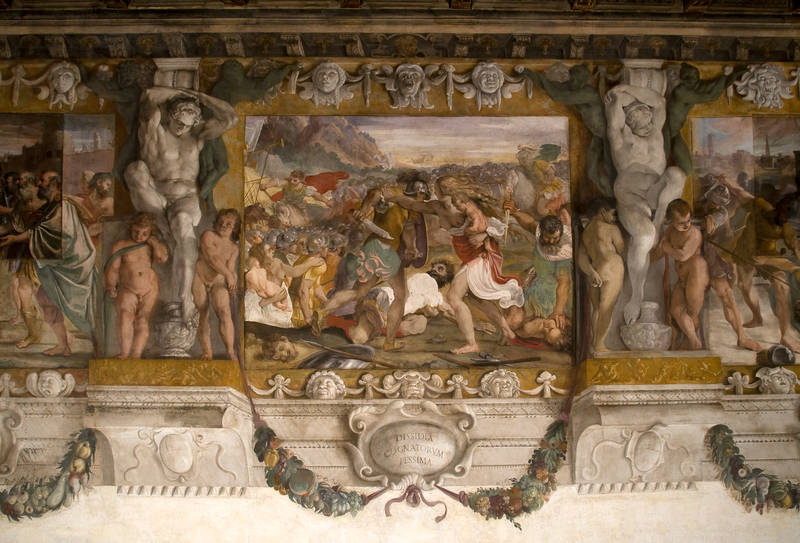 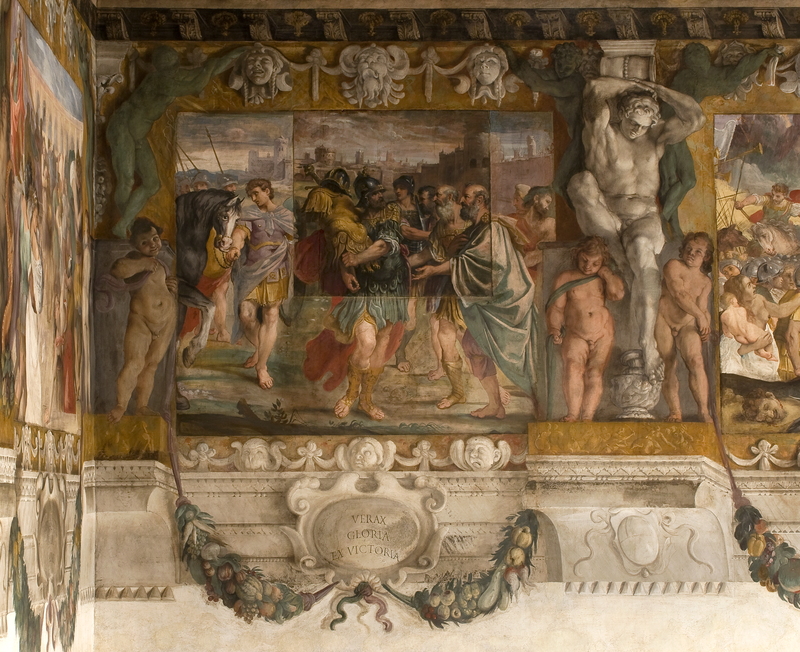 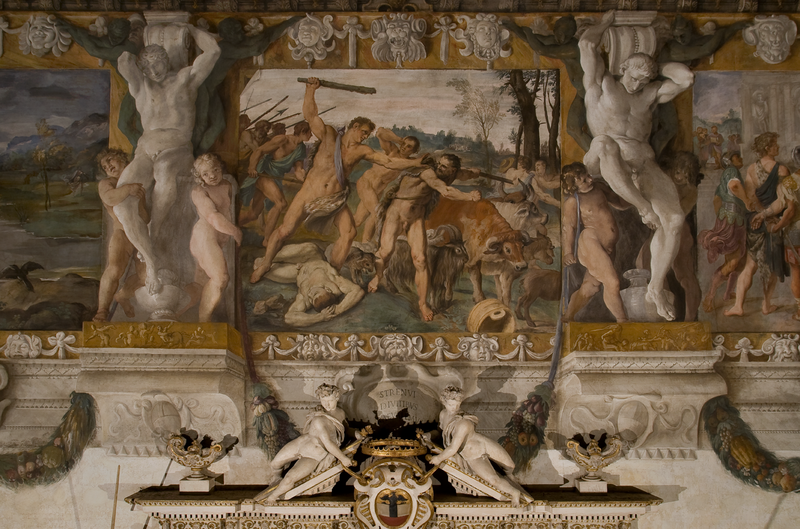 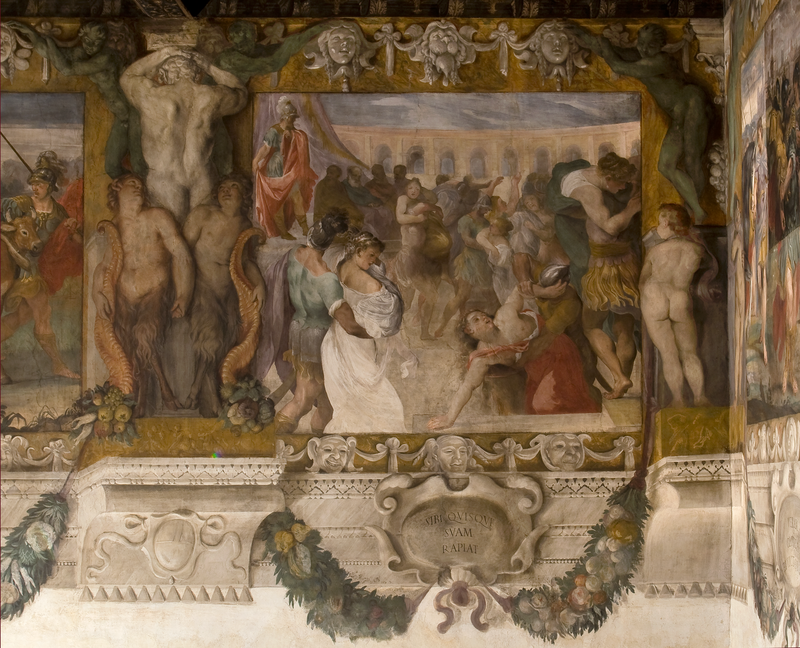 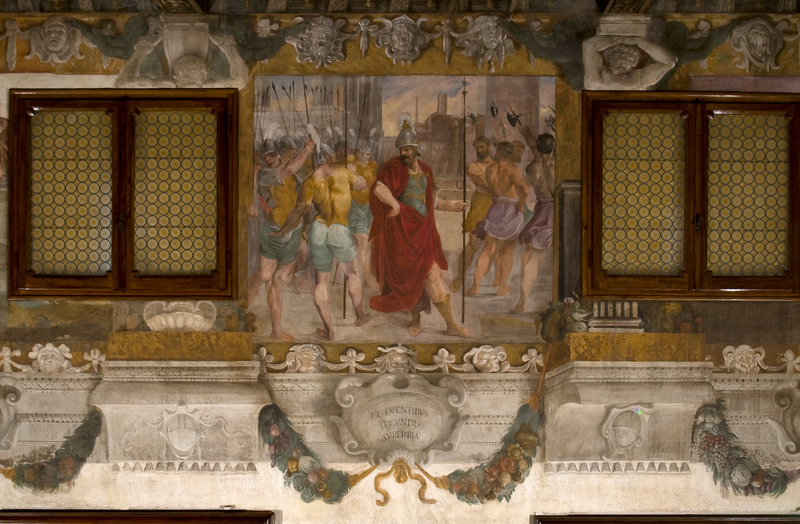 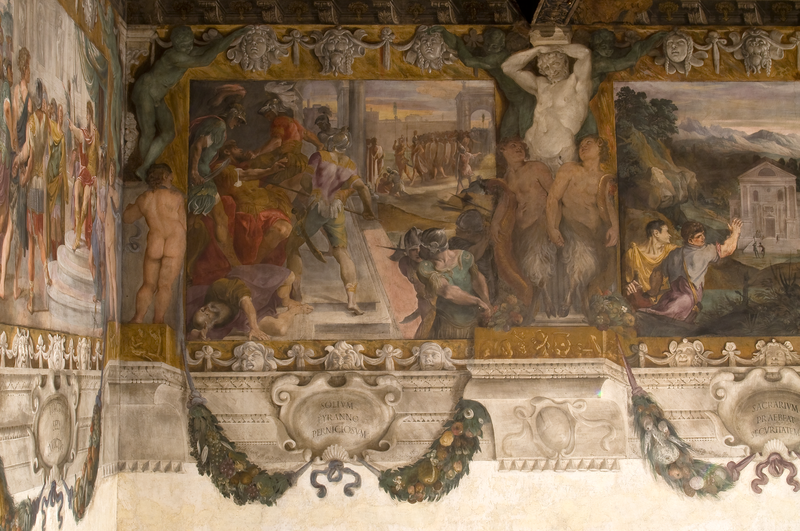 As a show of obedience to the pontiff, he chose to have the hall on the piano nobile, or first floor, decorated with stories from Rome’s foundation. 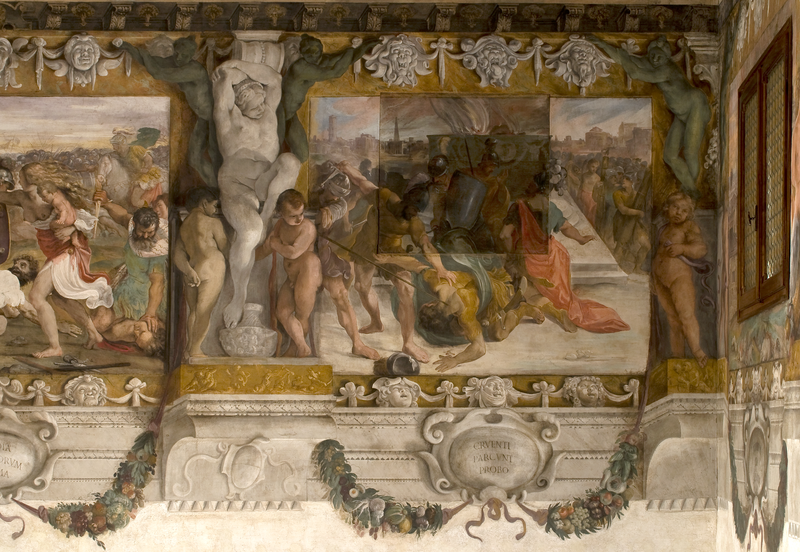 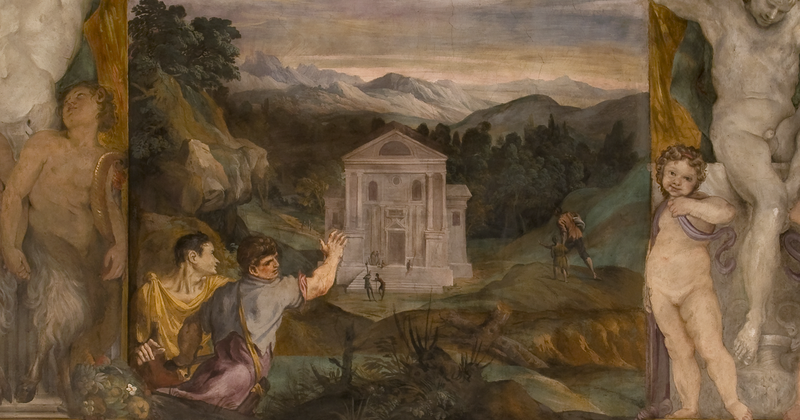 True to the text by Plutarch (which in turn draws from the fable narrated by Tito Livio), the story is depicted in fourteen frames, like a comic strip, beginning with the finding of the twins Romulus and Remus along the course of the Aniene river.